Welcome to my Tahoe-Truckee real estate website. Whether you are looking to buy or sell Lake Tahoe or Truckee Real Estate or find information on the Town of Truckee, Lake Tahoe, Nevada County or Placer County, you can find it all here! Looking for a home? Search everything the Web has to offer, right here! This covers residential and residential income homes and properties in Nevada County, Placer County, El Dorado County and Sierra County. Searching for property has never been easier. With thousands of listings, I will be able to be able to make detailed searches using my advanced search options. Search by city, MLS #, address, map and much, much more! 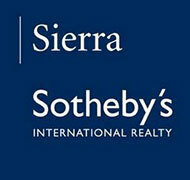 Curious to know what your Truckee or Lake Tahoe homes or properties are worth? Whether you are thinking about selling or refinancing, my home value estimator will give you a safe range of your home’s value. For a more accurate home value take advantage of my Comparative Market Analysis available to Nevada County or Placer County residents 7 days a week! Simply choose What’s Your Home Worth and complete the requested information. Also available are the HOTTEST NEW home listings by email! Become part of my Exclusive Email Notifications! I’ll search the MLS and find the homes that match your criteria and notify you IMMEDIATELY with the latest listing information! Simply visit my Email Notification page and fill in the requested information. It’s an incredible market RIGHT NOW! Where will YOU be living when it’s over?